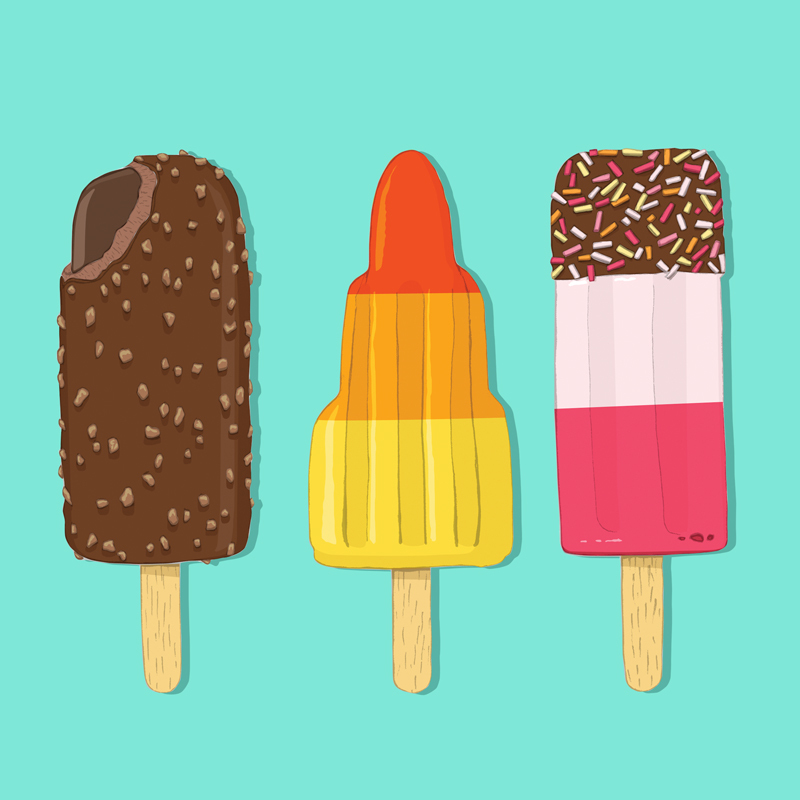 And I’ve been having lots of fun creating new artwork (and adapting some old) for my product range. The quality of the finished product is very good, and the range also quite extensive. It is also a much more sustainable way of getting my work on some of the products i’d wanted to, but hadn’t been able to due to the initial financial outlay needed. Mugs seem to be the most popular products that i’ve seen ordered from my range, along with plates. I’ve been loving seeing my artwork come to life on products that people will have and use in their homes every day. Also available to buy are art prints at very reasonable prices, framed, unframed and on canvas which has again given me a broader scope in the products I’m able to sell. Another great thing about Art Rookie is that they are always promoting their artists. I was very pleased to be a recent ‘Featured Artist’ on the Art Rookie Blog, where I was interviewed about my creative journey so far, the things that inspire me and also the ups and downs of self-promotion. It was a great experience to be asked some questions I’d not pondered on for a while and to get a broader view of my ‘creative life’ so to speak! Woh, it’s been a busy couple of months. With lots of great work on I can’t complain though. 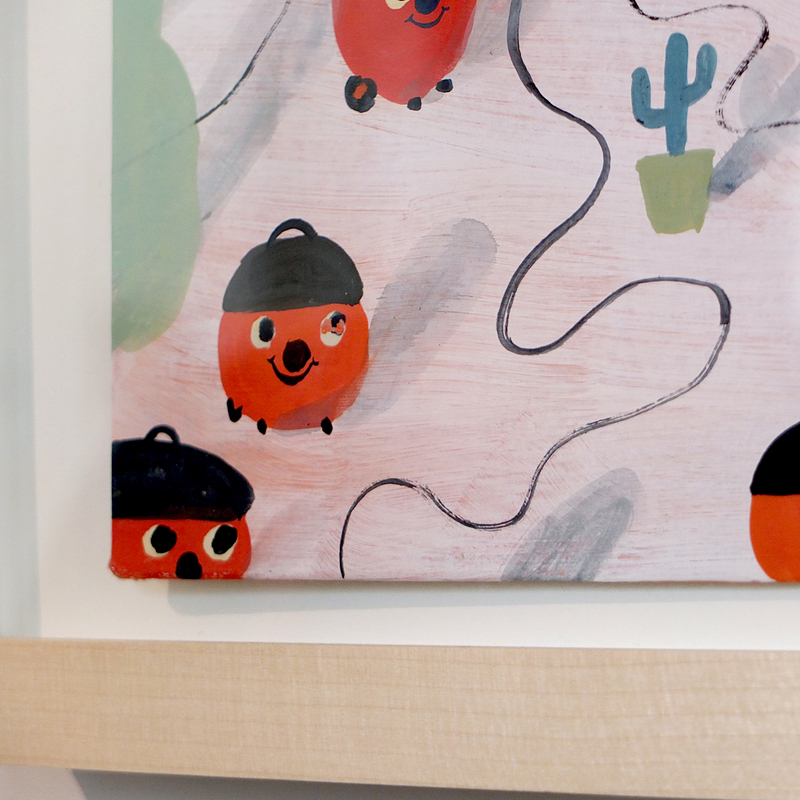 I took part in the Illustrators Christmas Fair last weekend, organised by House of Illustration. 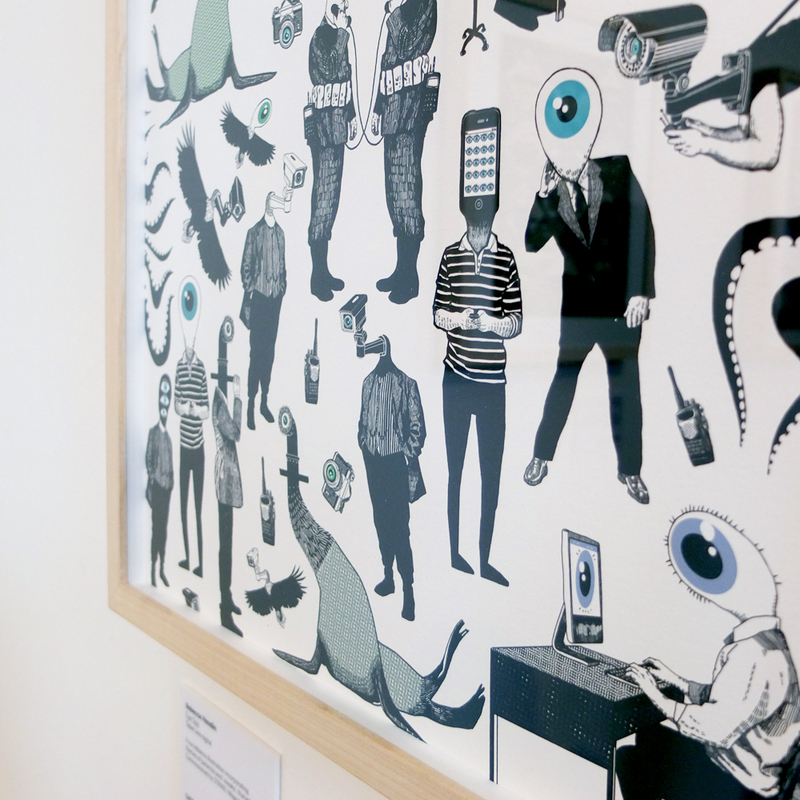 There were lots of talented illustrators there, selling their illustrated wares. I mainly sold a selection of Christmas cards and other greetings/postcards. The fair was really interesting and I believe the first one HOI have done of it’s kind. It was held within the UAL building in Kings Cross, a beautiful restored granary building in you guessed it…Granary Square. I’ve also been selling my Christmas cards on Etsy this year, managing four designs this year, rather than just the one I produced last year. They seem to have been well-received and i’ve been kept busy on little trips to and from the post office. The brief for this was open, so I came up with a couple of concepts and this ice-skating idea was the one that we went ahead with. This was my favourite concept so I was pleased that it was chosen. I worked the charity logo into the pattern on the main figure’s skirt, and also into the trail she leaves on the ice. It must have been quite an impressive twirl on ice that she performed…shame we missed it. So all in all, a busy but very satisfying end to the year. I look forward to seeing what 2016 brings! The award has been running since 1976 and 1200 artists from all over the globe submitted work in the eight categories: Advertising, Books, Children’s Books, Design, Editorial, Public Realm, Self Initiated and Research & Knowledge Communication. A shortlist of 165 works was elected by a judging panel (see more at theaoi.com/awards). 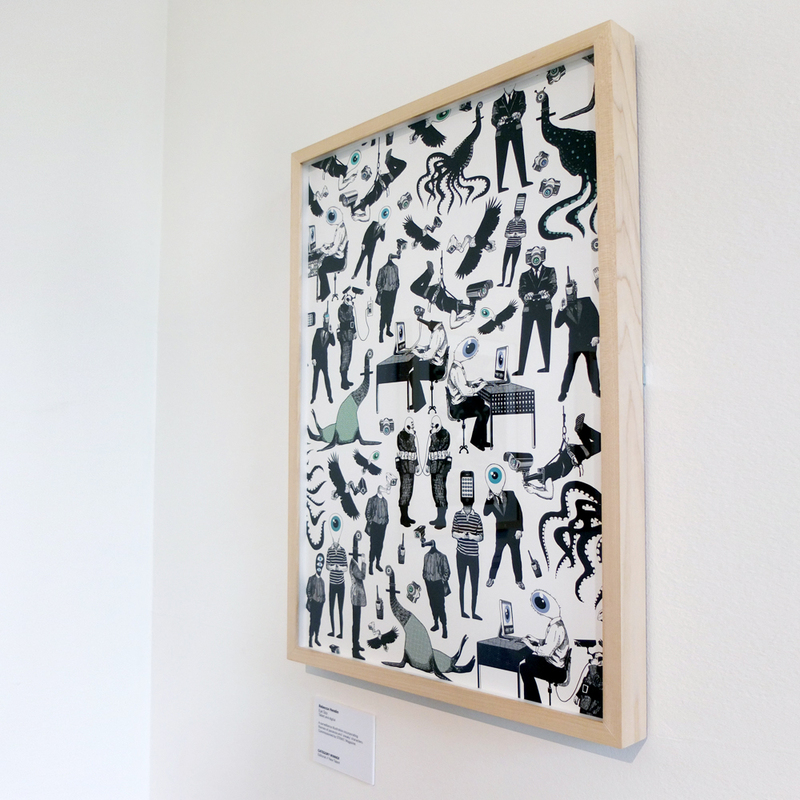 The exhibition itself is curated from highlights of the shortlist. 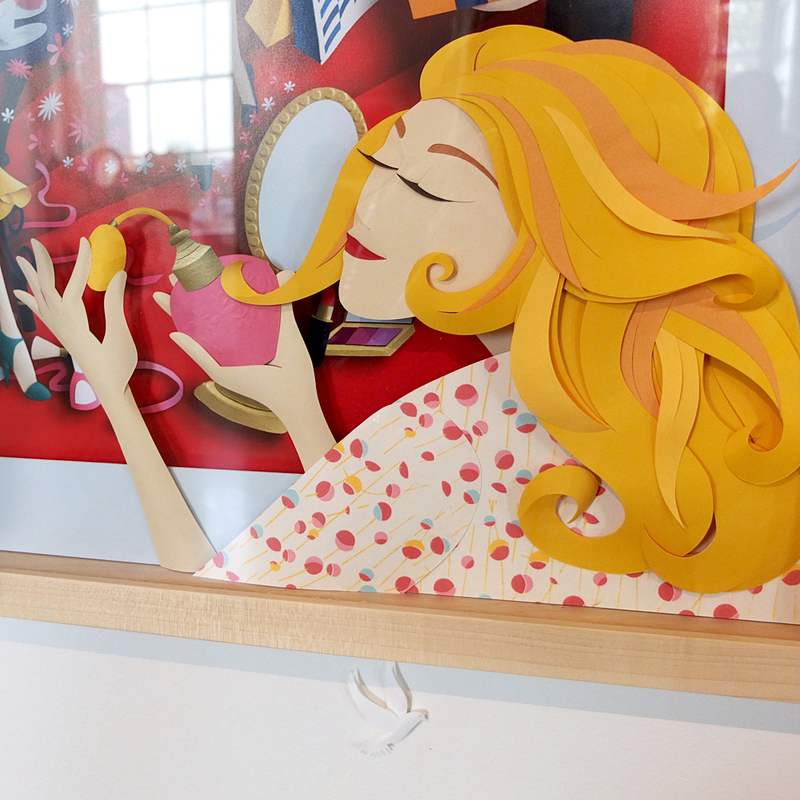 Beautiful work by Paper Sculptor Gail Armstrong in the Advertising/Professional category. This piece was commissioned by SOGO Hong Kong as a celebration of the department store’s 29th anniversary. Amusing and delicately painted illustrations of imaginary homes by Illustrator Nicholas Stevenson. I just love these little Henry Hoovers! 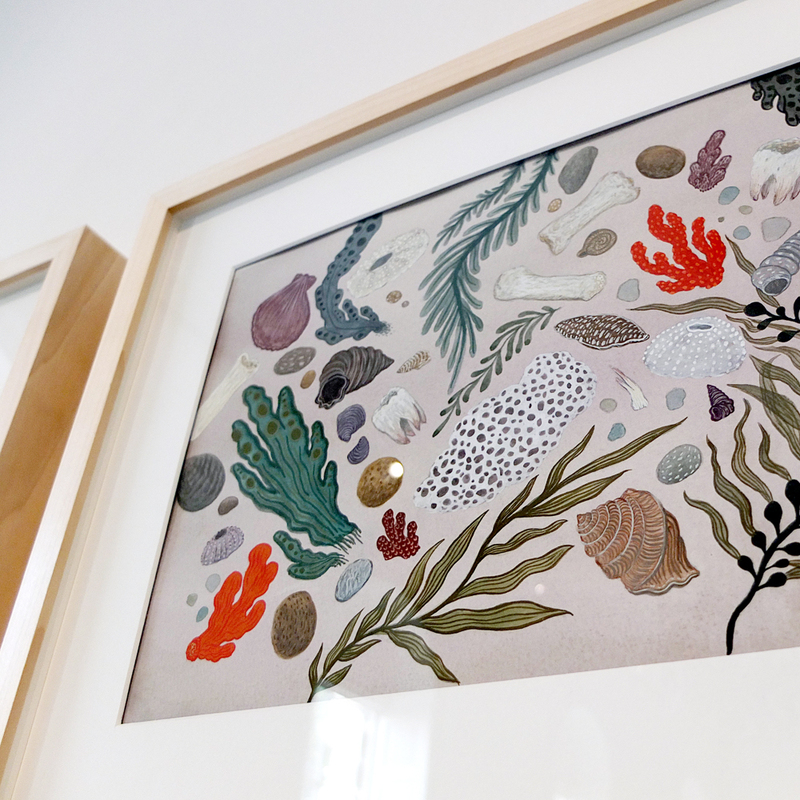 Work by Overall New Talent Winner Jessica Bromley Bertram. 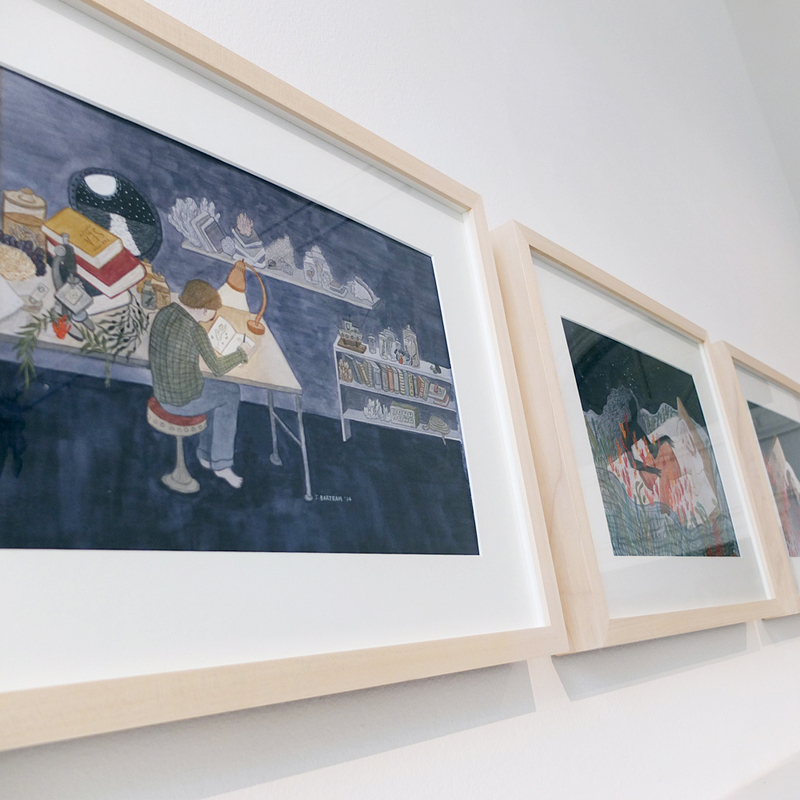 Jessica illustrated a collection of 14 illustrations for a story of a man falling in love with a drowned woman. I really liked this illustration by Rebecca Hendin on the theme of surveillance and paranoia. The image was commissioned as an editorial piece for STRIKE! Magazine. And there’s no missing this collection! 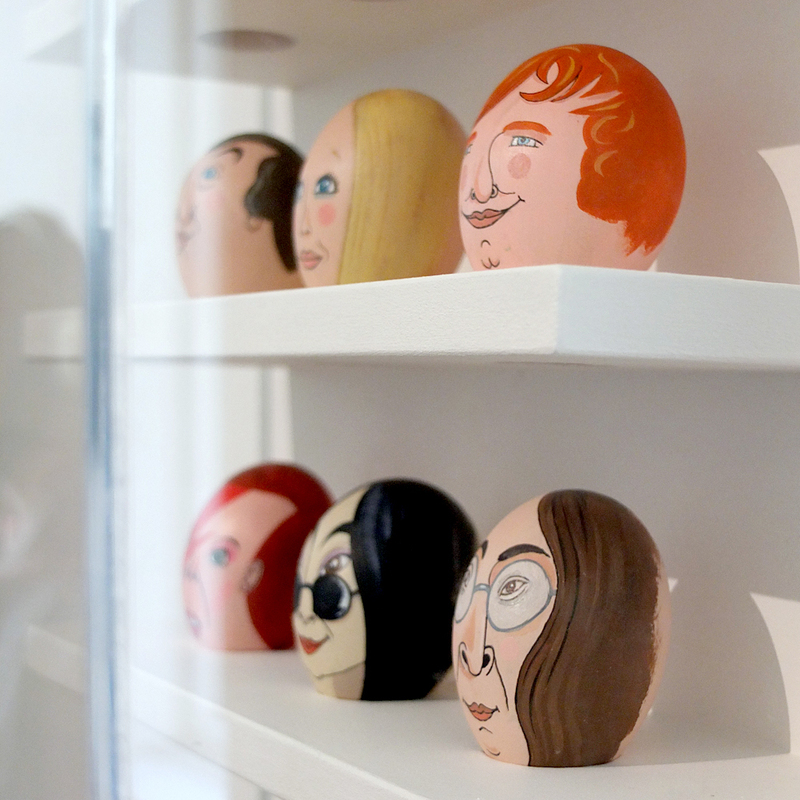 Delicately painted duck eggs by Illustrator Andy Ward. This was a submission in the Advertising/Professional category and was commissioned for Morrisons. 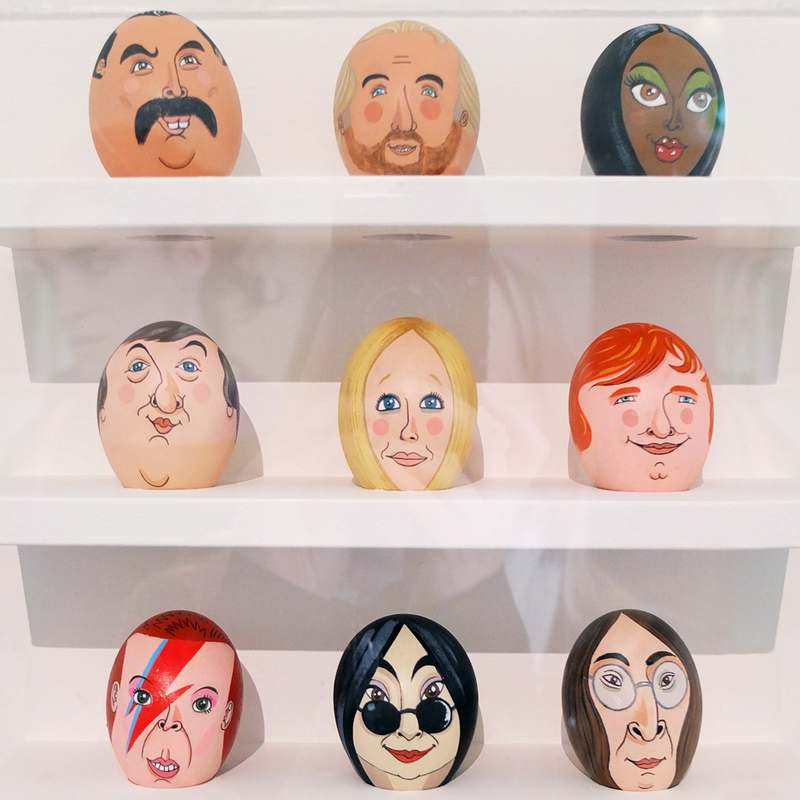 Andy created three hand-painted portraits of ‘Cel-EGG-rity’s on eggs per day, over six days in response to live Twitter requests from the public. You can see more of Andy’s process on his blog here. 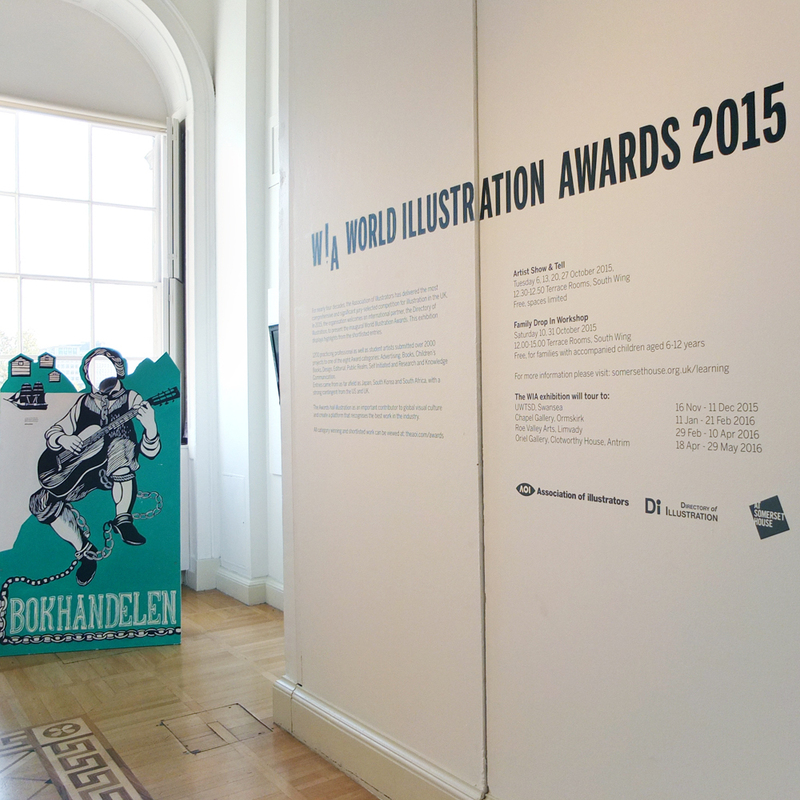 The exhibition is in The Terrace Rooms, South Wing and runs until 01 Nov 2015. 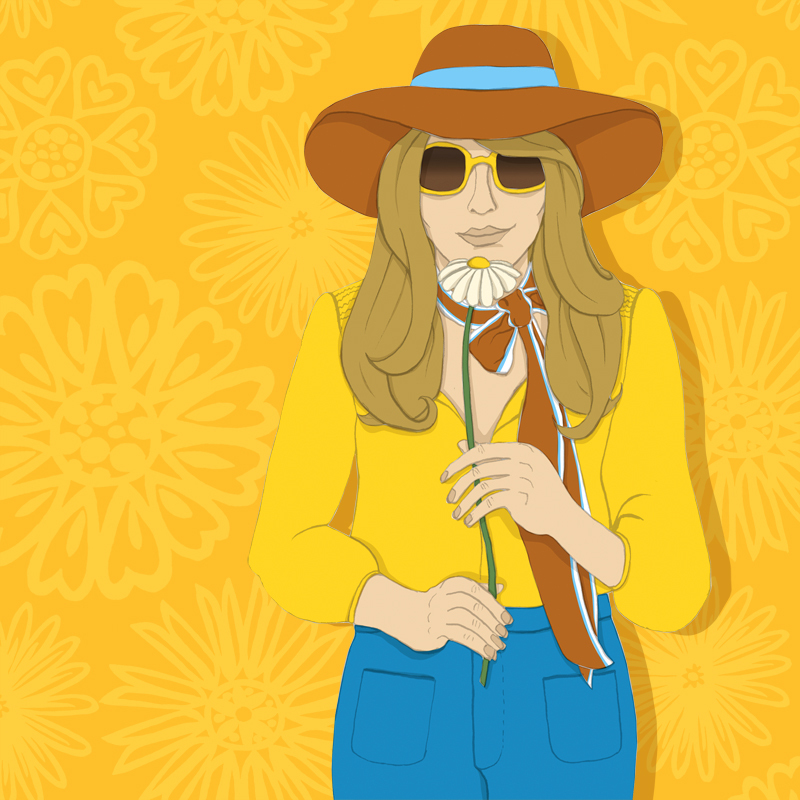 The Seventies trend doesn’t seem to be going anywhere fast so I thought i’d create an illustration to express my appreciation for said trend. It’s one that’s been peeking it’s way in for the last couple of years but now seems to have finally been embraced. And there’s so many beautiful clothes in the stores at the moment, Zara seem to have Seventies Chic nailed. It is also a slightly more mature look. Having been a child of the 80’s/90’s, I felt like I had my fill of stone-wash denim and ‘Mom Jeans’ back then so am pleased to see a new trend emerging. 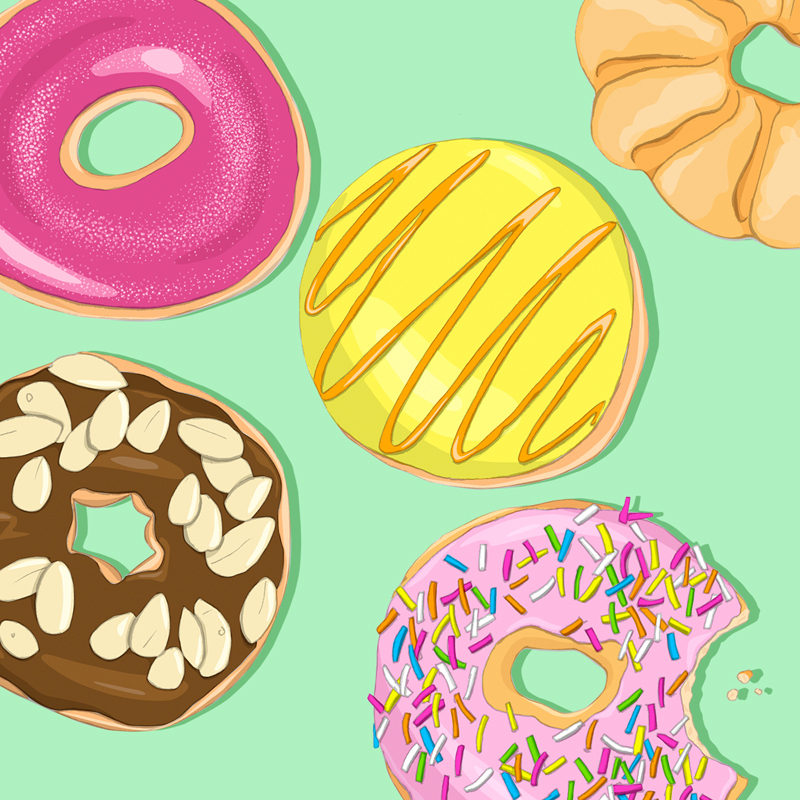 And then there’s always more time for illustrating food in my world. I try my best to maintain a healthy diet with the odd treat here and there, but I still can’t help but finding junk food so satisfying to draw! The colours and shapes that can be created using icing and E numbers are just too fun not to document. Did I mention that I thought my early exposure to sugar had no adverse affects on me?! Hmmm….. 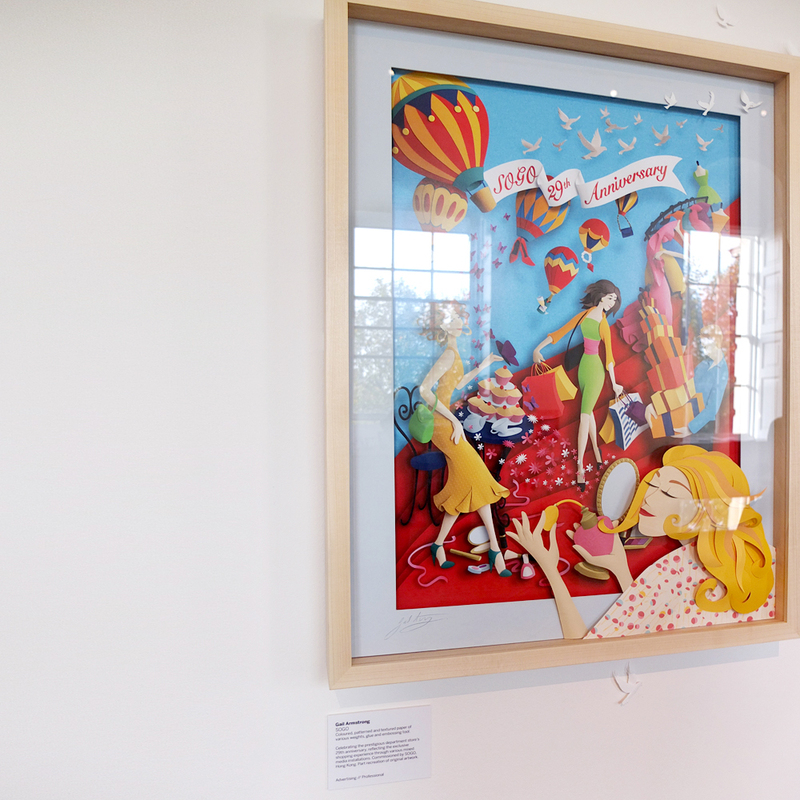 The latest exhibition to land at House of Illustration is Ladybird by Design, an exhibition that features over 120 of the original illustrations from the Ladybird titles, and celebrates 100 years of Ladybird books. 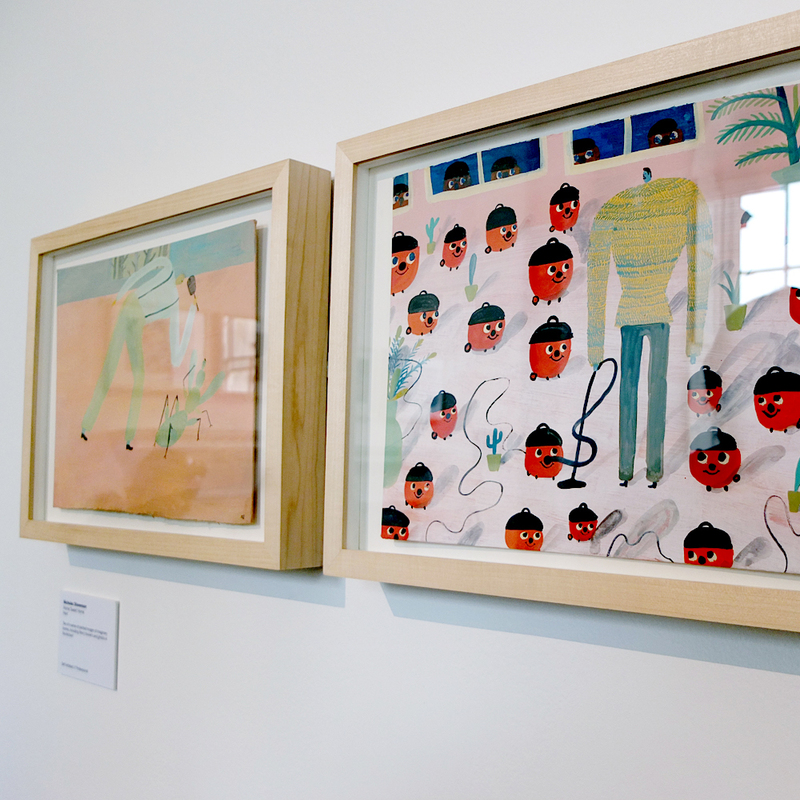 Visitors are given a unique glimpse into not only the iconic artwork from popular titles such as Shopping With Mother, Ladybird ABC and People At Work. But also find out how this affordable book series became such a memorable part of so many generations’ childhoods. A key learning resource and source of fun and entertainment for many children, the attention to detail and observation into everyday life is both stunning and enthralling. 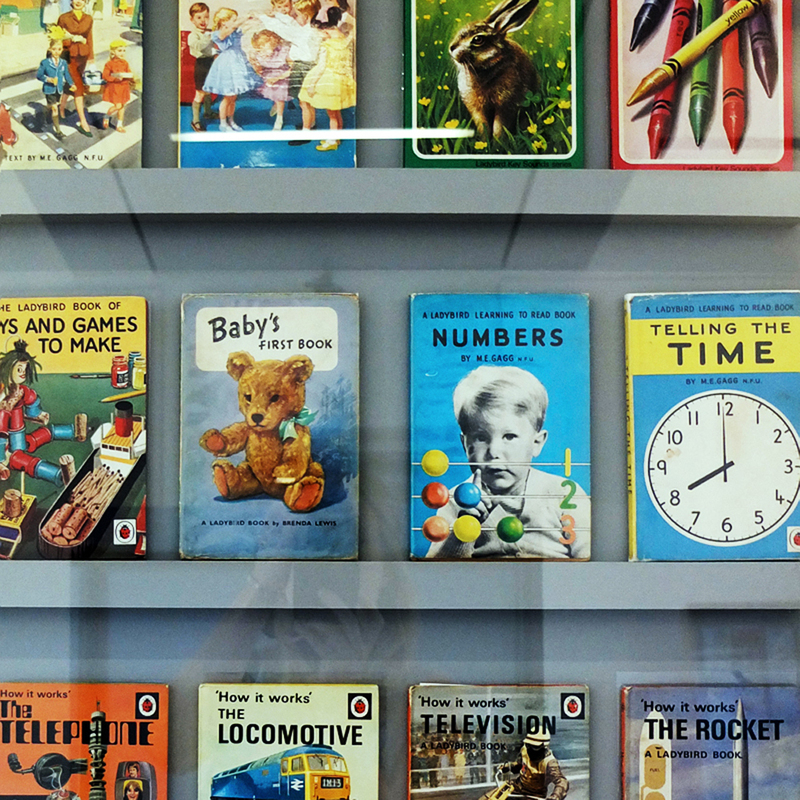 With topics from ‘How it works – The Hovercraft’ to ‘The Gingerbread Boy’ in the Well-Loved Tales series there wasn’t a subject that the Ladybird books didn’t cover. In ‘Shopping With Mother’ comforting scenes of everyday life see impeccably dressed Mother and her equally well-dressed children visiting all the different shops on a high-street, a day typical of a time before the advent of the supermarket. 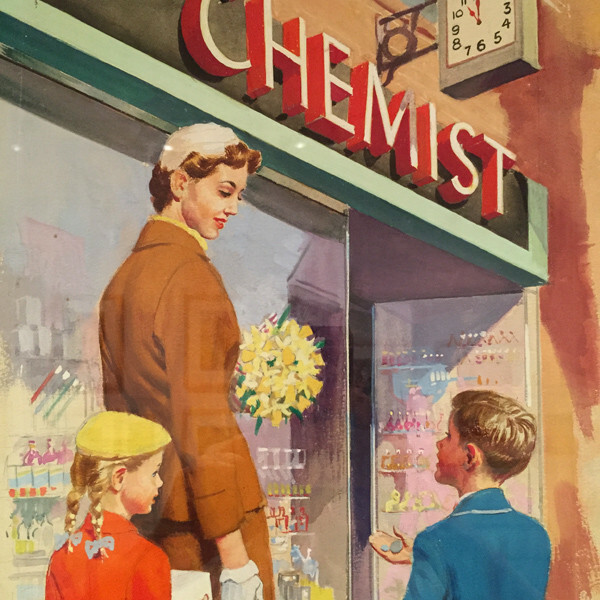 We see the family visiting the butchers, the florists, and the chemist in what looks like an idyllic portrait of family life, and domestic duties. The ABC books are equally beautiful in the detailed and precise, almost photo realistic illustrations by G. Robinson. All of the objects are set on a boldly coloured background with simple friendly text to accompany. The extremely popular series was incredibly affordable and due to the highly economical method of printing. The format of the books was developed in response to the paper shortage of the Second World War. All 56 pages of one book were printed on a single sheet of paper, measuring 30 x 40 inches. This sheet was then cut and, folded and bound. Using this design the illustrations would appear on the right page with the text appearing on the left. This method of printing made the books very affordable for consumers. 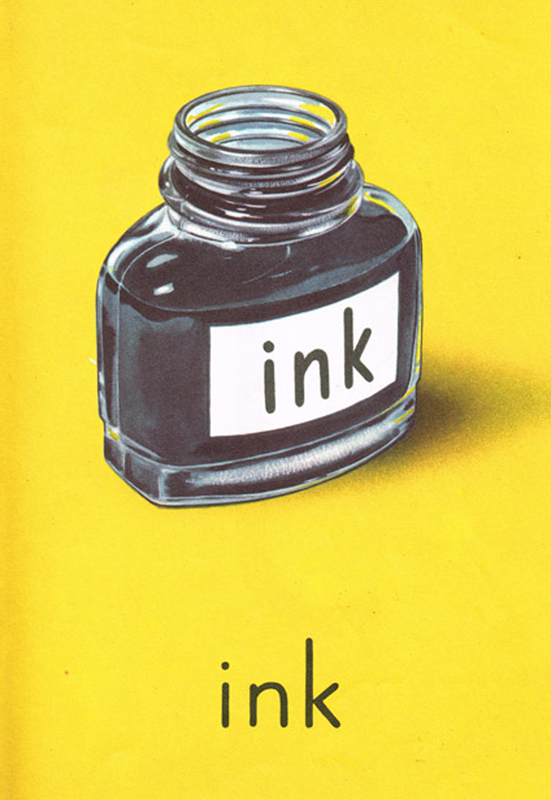 Because of this method of printing Ladybird books were accessible to the masses. The Well-Loved series were the staples of my child hood. 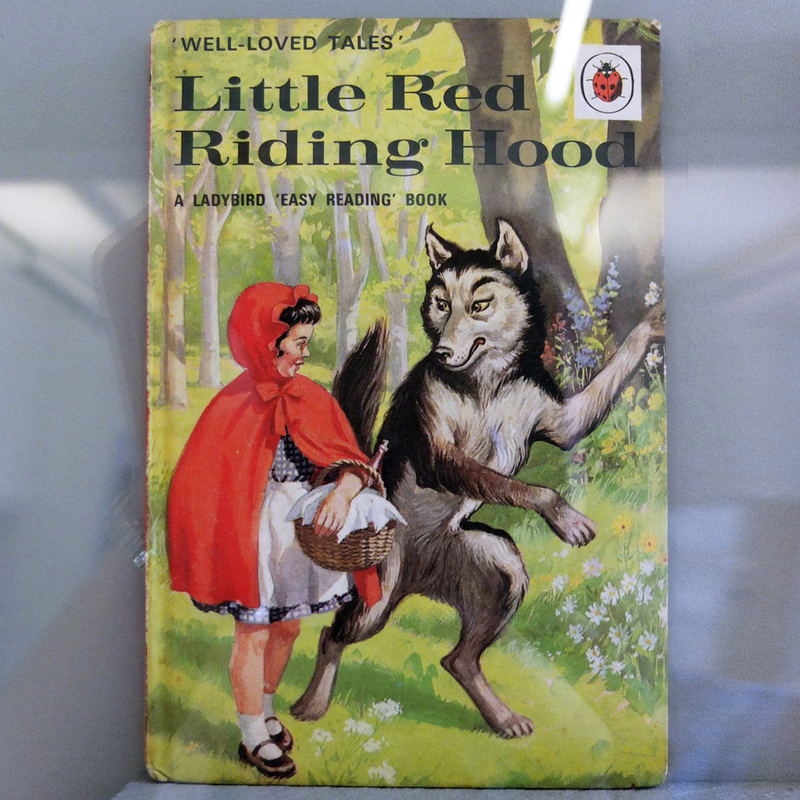 I fondly remember having this edition of Little Red Riding Hood in particular as a child. 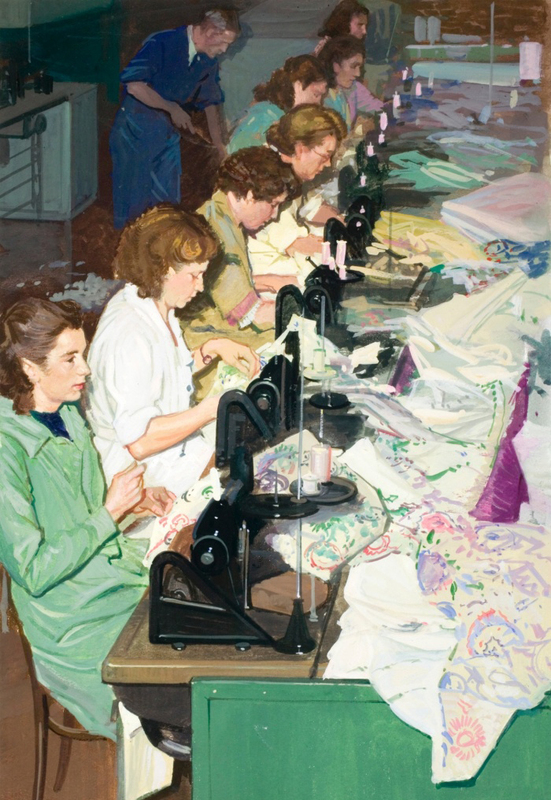 I also love this artwork from ‘People At Work in a Big Store’ by John Berry. It’s almost documentary illustration. I was fascinated to see how tenderly Berry illustrated seemingly mundane objects such as stacks of cardboard boxes inside a warehouse, and packs of wrapped meat rolling down the assembly line. 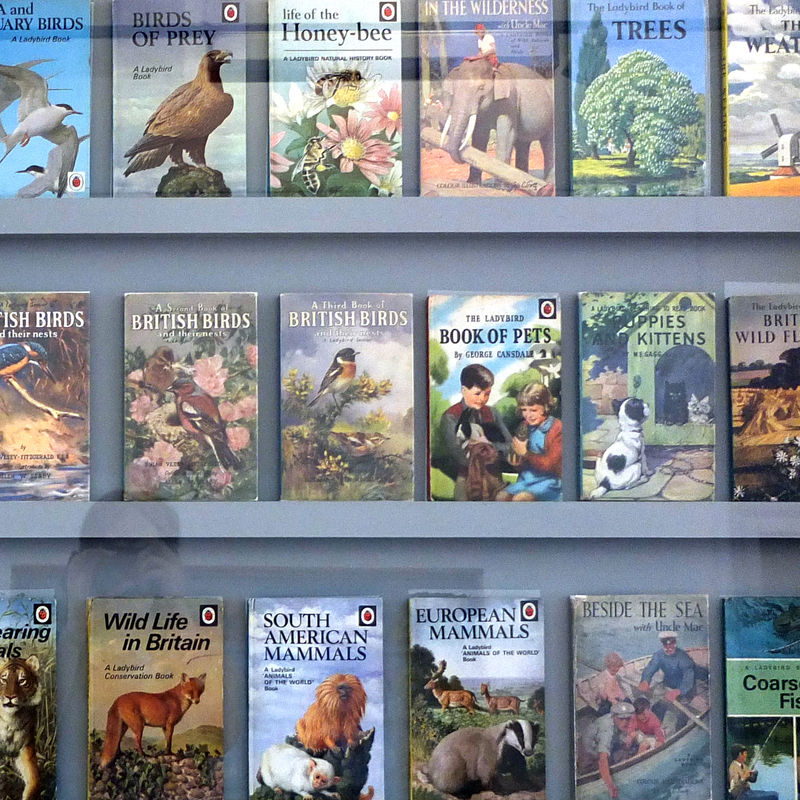 Ladybird Books revealed an exciting world of labour and commerce. Of domestic objects and duties and also classic fairy tales. 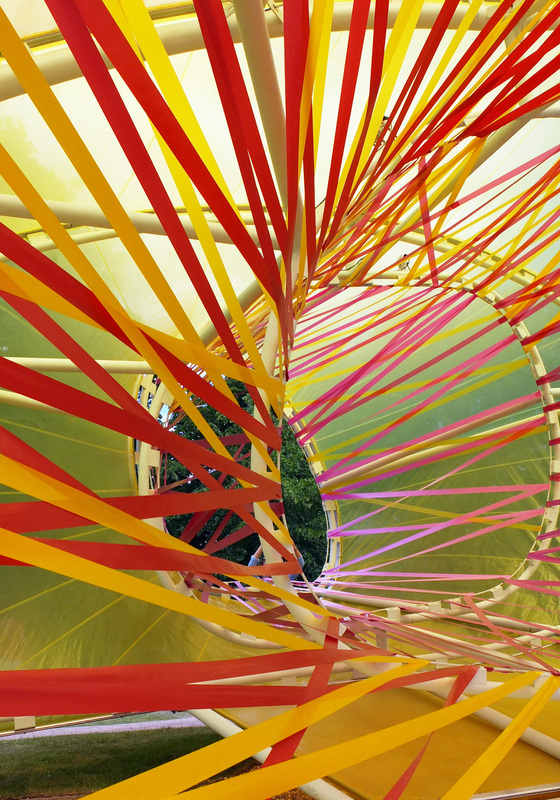 I recently took a visit to The Serpentine Pavilion in Londons’ Kensington Gardens to see this years summer installation. I was fortunate that my visit was on a pretty decent summers day, meaning I got to see the vibrant colours in all their glory. 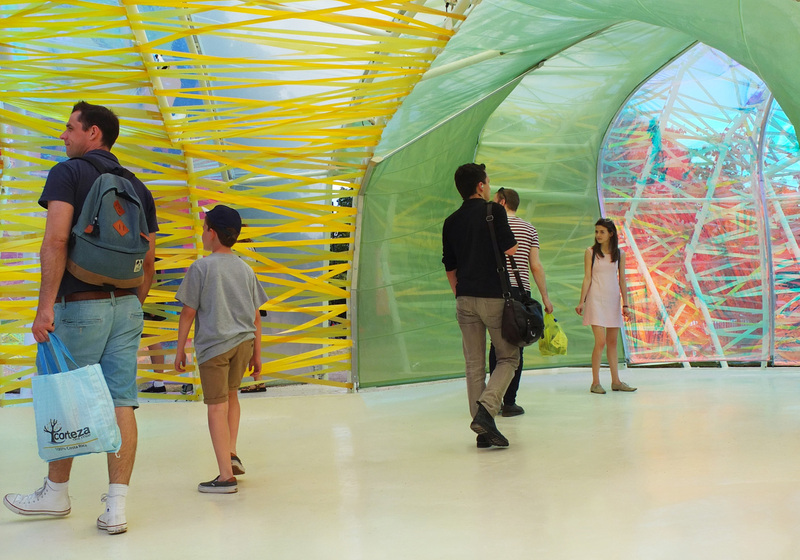 The installation is a creation by architect duo selgascano who have worked on many projects in their native country of Spain, but currently have several international projects in the making, The Serpentine Pavilion being the most recent instalment. The installation makes for a really interesting space. The different colours and shapes create differing moods and lights at every angle. Each corner I turned being a new experience of colour and light. And it came as no surprise that this particular installation was quite popular with young families. 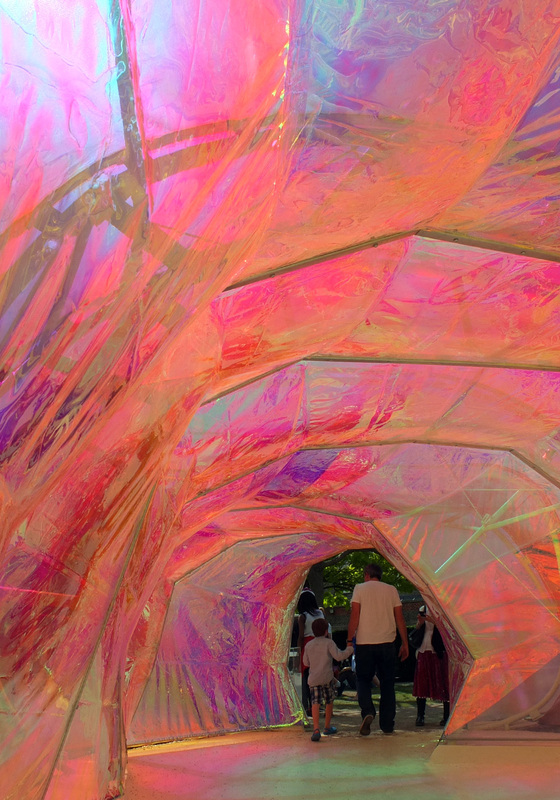 Children were running in and out of the different maze-like entrances and staring at the colourful bands of fabric stretched over frames. 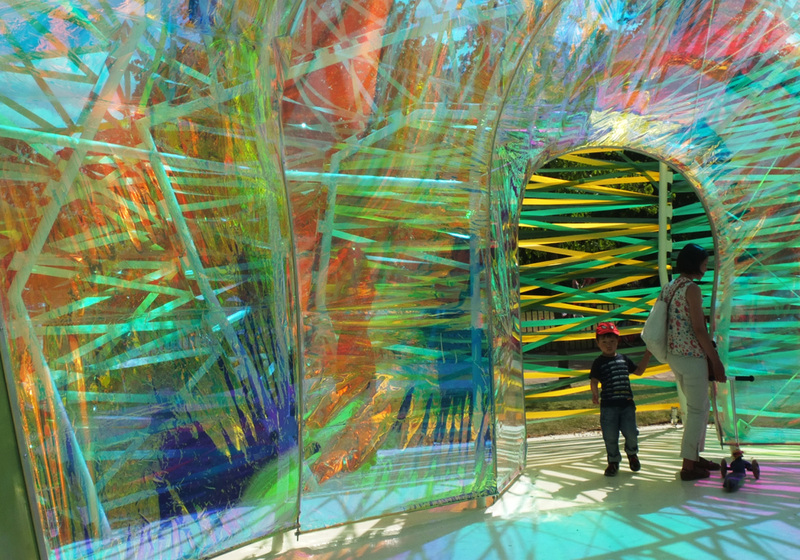 The clever use of semi-transparent and iridescent materials created a kind of overlap effect which meant that as I walked through the structure, what I was seeing was constantly changing. Moving to the outside of the structure added yet another perspective. When stood looking in from the only ‘window’ in the installation I could view layers upon layers of different colours and shapes gently receding like waves into the distance. I highly recommend seeing this years offering at The Serpentine Pavilion, especially if you can make it on a sunny day. It’s a real feast for the eyes. And if you’re also looking for a feast for the belly there is even a little Fortnum & Mason’s tucked away in one corner of the sculpture. 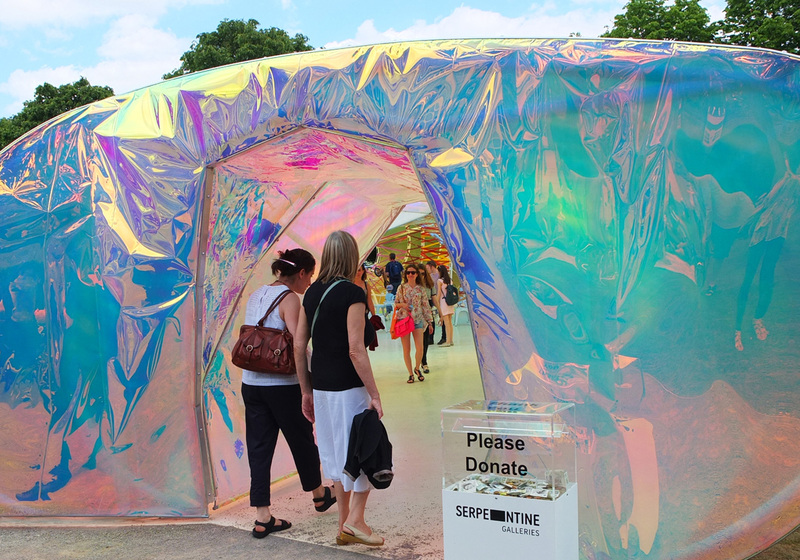 Admission to The Serpentine Pavilion is Free. The exhibition is open Tuesday – Sunday 10am – 6pm, and runs until 18 Oct 2015. 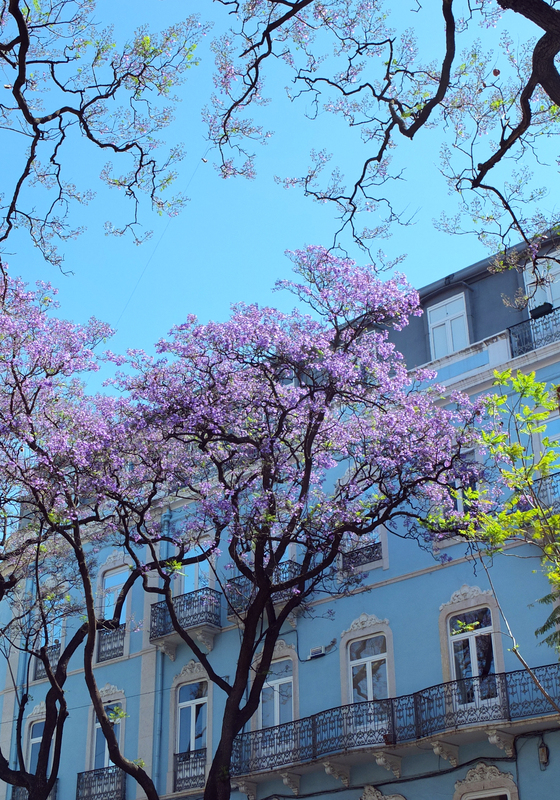 I was recently fortunate enough to take a short trip to Lisbon (the cheapest city in Western Europe according to The Guardian), staying in the Santos region of the city. 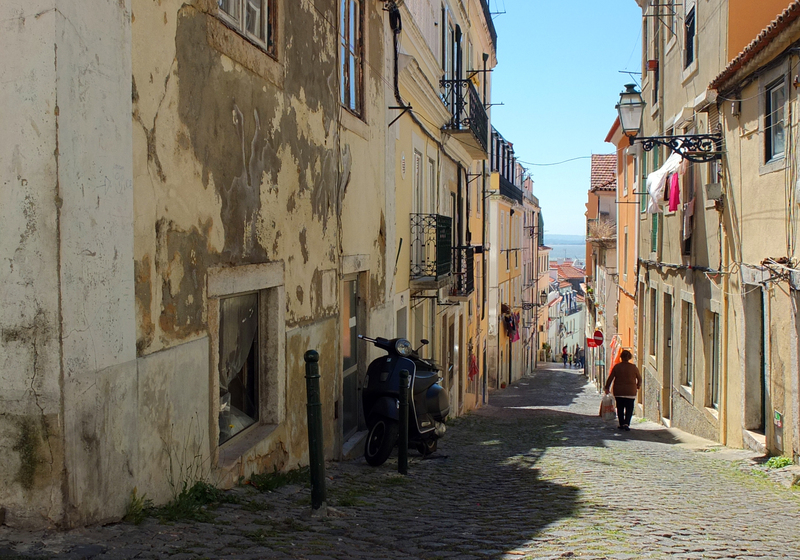 I was surprised by how culturally diverse and beautiful Lisbon is. There is so much to do in the city, and one could easily spend a good week there, only getting to know a small area. I was also taken back by how friendly and helpful everyone we came into contact with was. I had tried my best to learn a bit of Portuguese before hand but I kept getting it confused with my fairly limited Spanish! Fortunately near enough everyone we met had a pretty good grasp of English and was always really happy to help. Our first evening and morning was spent exploring the local area, and part of the central area, and just taking in all the sights. 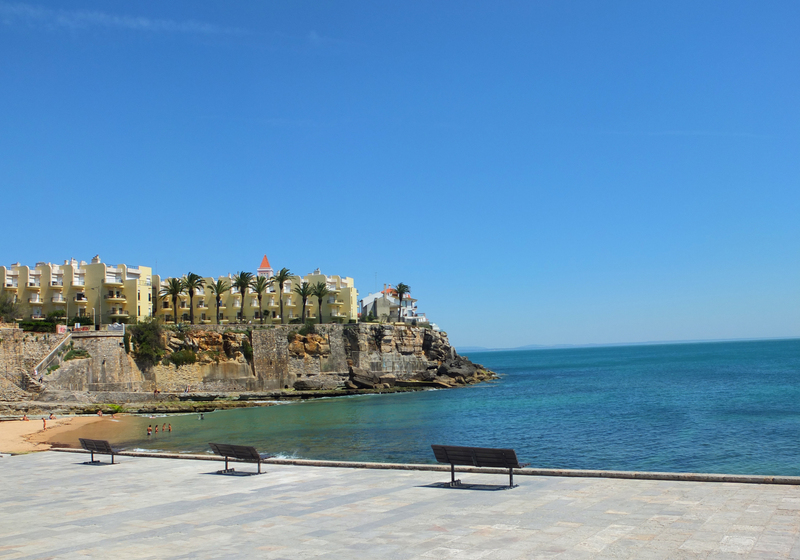 We also unwittingly toned our leg muscles with the incredibly steep hills that Lisbon is so well-known for! One of our priorities was getting to a beach (being British and all). So we took a short train ride from Santos to Sao Joao, which has a beautiful coast line that in the month of May is fairly quiet. The beach was well-served with a couple of reasonably priced snack bars that looked out to the sea. It is no exaggeration when I say that here I had the best tuna sandwich I have EVER eaten! 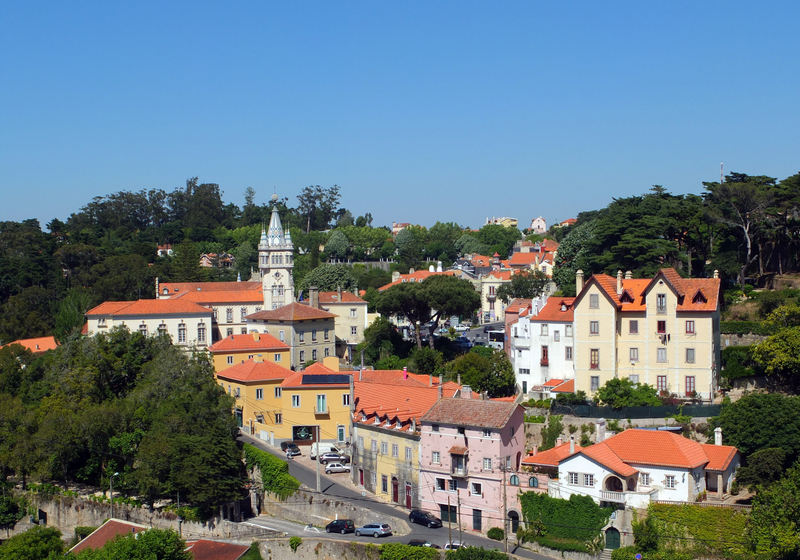 And then the last sight-seeing stop for our short trip was the beautiful ‘paradise’ town atop a hill of Sintra. There was so much to see in this town, we only caught a small glimpse of it’s beauty, but what we did was breathtaking. On our last night we received a recommendation for an amazing fish restaurant called Zapata. We were not disappointed. On the menu were regional fish dishes amongst others, very simply cooked but extremely tasty. We went for a local grilled white fish which came with boiled vegetables and potatoes, simple but so, so tasty! I only wish my own boiled veg could turn out that good back home!